Secondly, this article was posted on The Guardian website. It’s titled “Falling out of love with YA fiction.” For the first half of the article, I totally and heartily agree. For the second half, however, I do not. In a word, you could call my current state of mind: frustrated. I’m obviously not saying everyone does this, but I do feel as if there are certain “ingredients” authors feel they must include if their book is going to be published and become a success. I literally have been posting about this nonsense since 2012, especially in regards to love triangles. Why this is still a thing three years later I have no idea. Hawwa also brings up this point about romance. My ultimate opinion is that all this comes down to the fact that these novels often do not explore ideas, but rather that far, far too much of the time there is a romance driving the plot instead. Hilariously enough, Hawwa uses for one of the examples of this Sabaa Tahir’s debut novel An Ember in the Ashes, which Bibliomancy for Beginners tackled a few weeks ago. Is it a good debut novel? Yes. Did we have one of our most riotously hilarious hangouts ever discussing how the romance in the novel derailed so much of the book? Yes. I honestly had to stop accepting YA books to review because I was trying to read too much and the predictability and formulaic quality of the plots was making me nauseous. I needed to scale back my reading and be much more selective with my choices, in order to find the books I truly wanted to read. That’s the thing. That’s my sticking point. I will be the first one to say that YA is a problematic fave. But there is so much good that the genre can do, and sometimes people forget that. I’ll be the first to say that I have disliked many of the huge trends that came up (Twilight, The Hunger Games, etc) but you know what? They got kids reading. They got kids excited about reading. I can respect that. I wrote an extremely long blog post a while ago about why I write and read YA, but the bottom line is this: I want to write YA because I want to write better YA. Hawwa brings it back to a dilution of language as a base problem, but for me … I’m okay with that. I see such a bigger problem. A bigger problem with a solution that’s staring us right in the face. Do you know why these formulas exist in plots? Because they sell. YA books have become a massive cash crop for a lot of people, and many large publishers want more of that. They want another Harry Potter, another Hunger Games, another Twilight. Because they sell. So let’s not let them sell. I, for one, no longer pick up a book that promises a love triangle. I will not spend my money on it. 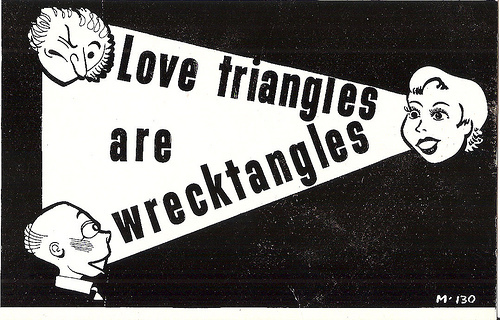 If you enjoy love triangles, that’s cool–I’m not saying that you can’t read what you like. But. If you don’t? Don’t buy them. Don’t go see the movie. I haven’t spent a single dime on The Hunger Games movies after they bent the love triangle into it. Please God don’t take this as me suggesting you pirate anything. Please don’t do that. You may be asking, “So then what the hell am I supposed to read if I can’t read anything with a love triangle with it?” Trust me, it exists. I’ve been living on it for a year or more now. Seek out indie publishers. Search Goodreads. You’d be amazed how many people create lists of “books without love triangles” or some such title. This literature is out there. We need more of it. So we need to demand it. And maybe this isn’t the best solution. Maybe there are other roads, other options. Comments are free and open to all. Please. Because we need people to start thinking about it and talking about it. I will not “fall out of love with YA” because this is my genre. Every book that has impacted me and affected me deeply has been YA. The projects I’m most passionate about writing are YA. I will not sit idly and watch dollar signs destroy what is to me the most powerful and magical genre of writing out there. At the very least, I won’t let them take away my enjoyment of reading. If you “fall out of love,” then this wins. YA will continue to be rather formulaic. If anything, dystopian fiction has prepared us for this. Be a Mockingjay. Be a Divergent. Choose your favorite rebel and stand up in their name. 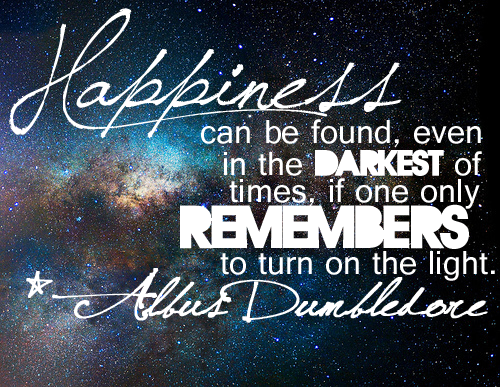 We needed them in some of our darkest moments. But now, they need us. I would like to note that when we first started our book club, I read YA a fair amount. In that time though, I have fallen out of love with it. I have found a handful of books that I really feel are redeeming and worth while, (Everybody Sees the Ants by A.S. King, Every Day by David Levithan, and Miss Peregrines Home for Peculiar Children by Ransom Riggs to name a few). The problem is not that “YA is bad” it is that it is so flooded with what you call “cash cow” prospects that those gems get hidden away in a sea of sad, gray, copy-cat books. I shouldn’t have to do research to find a book worth reading. If I go into any other section of a book store and pluck any book off the shelf the likelihood it is going to be unique and interesting is soooo much higher than it would be in the YA section. However, I also recognize that the publishers need those cash cows in order to spend some of it taking chances on lesser known authors or genres. If they don’t have the money then they can’t extend the opportunity. As much as people hate on it, and I do too, its a necessary part of a capitalist system. If the industry is to keep publishing little known gems, it needs to have steady income from somewhere. You have far more patience than I and I commend you for sticking with it. I guess that I don’t see any big publishers taking very many chances. Even books that I read that are SO CLOSE to being good have at least something like a love triangle or other nonsense shoehorned in. There are books that it is so painfully obvious that there was no love triangle, for example, until someone told the author YOU KNOW WHAT THIS NEEDS? But that’s why I ask for other opinions. Because someone needs to have this conversation. I want to be able to pick up whatever pretty thing catches my eye and have more faith that it won’t disappoint me. Although, with that, I will say that I hit on far more things in the YA section that I like than in any other section but that may just be me as a reader. Thank you for your thoughtful response! Note: I said more likely to be interesting and unique not that I would like it. I am very picky about my books just because I hadn’t read something like it before doesn’t mean I will like it. YA is too cookie cutter. WE NEED DIVERSE READS! Everywhere for everyone. I’ll admit that I take jabs at it, but your rant and this article have made me rethink my position. Mainly the thing that drives me crazy is the amount of weight given to stupid teenage problems . . . like love triangles, though I appreciated that Katniss/Peeta/Gale emphasized the nice guy (genuinely nice, not Nice Guy) over the brooding dreamboat with angst and a grudge. But it’s like . . . it’s high school. No one cares who you were in high school, kids. It just always felt a little pander-y, but to be fair I needed that as a kid, and teenagers need to feel like they’re important somewhere. But that doesn’t make it any more fun to read, you know? That, and as you pointed out, there’s a tendency to stick with formulas that gets old after a while. To be honest, I’m not sure I’ll ever have the patience to sift through this genre that you do, but plenty of people don’t have the patience to wade through fanfic, either. And that’s the fun of a blog; you can passionately love what you love, and just demolish what you hate.